The global water crisis has brought water-intensive industries under the spotlight, as every means of saving water is explored. At the forefront of the drive toward water efficiency in South Africa is the National Cleaner Production Centre South Africa (NCPC-SA). 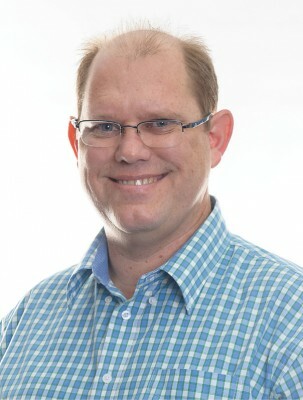 We spoke to Kevin Cilliers, NCPC-SA Regional Manager, to find out more about water efficiency within the agro-processing sector. Please describe the nature of the NCPC-SA water project and what it intends to achieve. The NCPC-SA's Industrial Water Efficiency (IWE) Project seeks to create better awareness and understanding of water use and water management practices in order to shift industry towards a more holistic approach when dealing with the management of water in their organisations and operations. 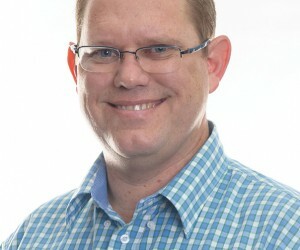 The project has initially being designed with an initial term of three years, however given the current constraint of South Africa’s water resources it is likely to extend beyond that. Whilst a core focus is around building knowledge and capacity through proposed skills development training modules which will be used to help transfer key critical water skills into the industry sectors and consulting fraternity. At the same time, the skills transfer initiatives will be complimented with practical application and demonstration through detailed In-plant assessments. The outcomes of the assessments will subsequently be used to inform policy decision makers around the direction and focus of future water policies and legislation. The NCPC-SA will assist in formulating a standardised approach and methodology towards addressing water efficiency and water management within the South African industry. We will also go on to demonstrate to industry the benefits and impact of applying water efficiency and management initiative within operations. I understand that the agro-processing sector is among the beneficiaries of the project. Which types of agro-processing specifically? The Agro-Processing sector is well known to be a water intensive user and significant employment provider. Coupled with the current Cooperation Agreement between South Africa and the Kingdom of Denmark, the NCPC-SA has elected to leverage the Danish expertise in the Food and Beverage sector and more specifically the poultry and dairy sub-sectors. However this does not exclude other sectors from being considered where there is a similar demand or need. How does water go to waste in the course of these activities? There are a number of areas where water goes to waste, most notably related to washing or cleaning operations. Very often the water is used once and discharged to drain. The Resource Efficient and Cleaner Production (RECP) approach looks for ways to maximise the use of water and ensure it can be used more than once if possible. What techniques does the NCPC-SA encourage in order to save and reuse industrial waste water? The NCPC-SA follows the RECP approach which attempts to emulate the waste hierarchy approach of first Avoiding or Reducing the need to use water, followed by exploring ways to Reuse water internally and once exhausted, then looking at options to process the water for recycling and final treatment before discharge to drain. The approach seeks to first identify the no cost human behaviour interventions to achieve quick-win payback and gain traction for water efficiency. Once this has been achieved, emphasis can then be placed on the more capital intensive solutions. Does the NCPC-SA provide training in this regard? Part of the project schedule includes skills knowledge transfer. The project over the next year will undertake a skills gap analysis to assess the current critical skills needed in South Africa and start the process of developing appropriate training modules to address these gaps. What other ways can the NCPC-SA help agro-processing companies? Apart from assisting the companies with assessments that can provide them with a better understanding of their water use and opportunities to reduce usage, and the proposed training the Centre is also targeting to provide support to the industry sectors with implementation either through project management support or feasibility analyses or by linking companies to respective financing mechanisms and partners.